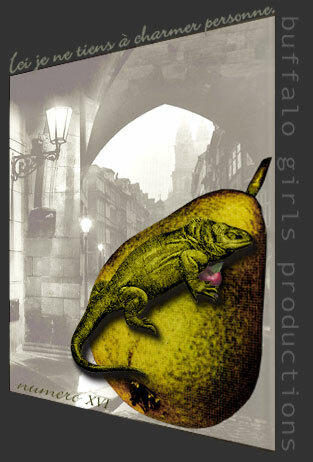 Buffalo Girls Productions is a small multimedia group of designers, programmers, and filmmakers. We design and develop dynamic, elegant, and affordable web sites for individuals, organizations, small businesses (with or without shopping cart) and for large companies & organizations with unique needs. Our programmers work in HTML, XHTML, FLASH, .NET, CSS, PHP, C#, PERL, XML, AJAX, mySQL. Anyone with a browser can edit the content of the site. Test drive a database-driven web page. We specialize in helping clients with the daunting web world, from Web Hosting and Domain Registration to web design and web site maintenance. If you want to drive more traffic to your website we do full Search Engine Optimization (SEO) to improve your Google page ranking which will improve your search engine ranking. We design printed PR material, business cards, brochures, etc. We make documentaries, creative instructional dvds and multimedia projects for your online and offline presentations. Need native seeds? We redesigned BFI Native Seed company's website in Content Management System allowing the clients to update the site without any knowledge of programming. MADE IN THE USA - fabulous long sleeved italian linen shirts, bespoke suits liked by Ed Ruscha, and many Hollywood movers and shakers. New website designed for old LA friends, great british clothes designers, living and working in Santa Barbara. Visit their store on line at Takapuna. Buffalo Girl has made our business possible and profitable. Without her design, advice and unflagging and unflappable support triogranthelp.com would not exist. We will always be in her debt. and offers creative options for us to work with. Shelly - Resource Planning Unlimited, Inc.
Lida from Buffalo Girls has been a great webmaster for the Moscow Food Co-op. She works within the constraints of the platform that we're using and finds ways around those constraints when necessary; she responds quickly to requests for help or requests for changes, and is always easy to contact. It's been great to have her on our website team! Plug-ins such as Flash 5 and above, Java enabled browser are necessary to view certain pages.